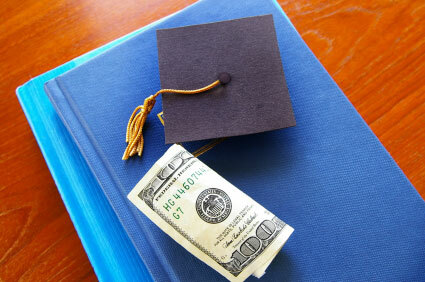 Nearly every student planning to attend college will need to consider some form of financial aid. There are very few students, or families, that can afford to pay tuition costs out of pocket. Grants and scholarships can help to shoulder some of the burden, but even with these sources of free money most students will fall far short of their total education costs. College loans can help bridge the financial gap, but not all education loans are created equal. It is important to understand the different lending sources, and what can be expected from them in the way of application procedures, funds and repayment requirements. Student loans are funded by by a variety of sources, including federal and state government, and private lenders such as banks and credit unions. Public and private lenders have different requirements for eligibility, as well as different interest levels and repayment options. The following guide will provide an overview of the primary sources for education loans, and will explain the benefits and requirements associated with each. Federal student loans remain the most popular, and most accessible, of all education loans. These government guaranteed loans offer low fixed interest rates, as well as generous repayment plans, making them the first choice for students looking to borrow money for their education. Federal Direct Stafford Loans are available in two forms, subsidized and unsubsidized. The Subsidized Stafford Loan is available to undergraduate students who have demonstrated the requisite financial need, and are enrolled at least half-time at an eligible college or university. Loan amounts are determined by the student’s full-time or part-time status, as well as financial need. Maximum amounts range from $5,500 for first year students to $7,500 for third year students. Interest rates are currently fixed at 3.4%. Recipients of the Subsidized Stafford Loan will have their interest paid by the Federal government for as long they remain in school, and for a six month grace period following graduation. After this grace period students must begin their repayment plan, at which time they will be responsible for all newly accruing interest. The Unsubsidized Stafford Loan does not require students to demonstrate a specific level of financial need, and is available to both undergraduate and graduate students. Current interest levels are fixed at 6.8%, with maximum loan amounts ranging from $9,500 per year for first year students to $20,500 per year for graduate students. As with the Subsidized Stafford Loan, payment can be deferred until six months after graduation. However, all interest that accrues on an Unsubsidized Stafford Loan during deferment will be capitalized and added to the student’s total loan amount. The Federal Perkins Loan is available to undergraduate , graduate and professional degree seeking students who can demonstrate the required level of financial need. Interest rates are currently fixed at 5%. Undergraduate students may borrow up to $5,500 per year, while graduate students may borrow up to $8,000 per year. Perkins Loans are only offered through partnering colleges and universities, and students should check with their school’s financial aid department to learn if their school participates in the program. The Perkins Loan is a government guaranteed education loan supported by participating colleges and universities. The funds are provided by the school, and may be limited. Students are encouraged to apply early before all loans for the academic year have been assigned. Federal Direct PLUS Loans are available to the parents or legal guardians of dependent children who wish to contribute to their child’s college fund. The Federal PLUS Loan program is also open to non-dependent graduate and professional degree seeking students who are seeking the necessary funds to complete their education. PLUS loans differ from all other government education loans in that they are wholly based on the applicant’s credit history. Applicants for Federal Direct PLUS Loans must meet stringent credit requirements, and must sign a Master Promissory Note agreeing to the terms of the loan. Applicants for the PLUS loan may borrow up to the total amount of the cost of attendance, as determined by the college or university of their choice, less any other financial aid that has already been received. Current interest rates stand at 7.9%, and there is a 4% origination fee on all loans being processed. Repayments plans on Federal PLUS Loans begin as soon as all funds have been disbursed. Graduate and degree seeking students can have their loans placed on deferment until six months following graduation, as long as they remain enrolled in classes at least half-time. It should be noted however, that loans placed on deferment will continue to accrue interest during the deferment period. All Federal student loans are paid directly to the student’s college of choice. Any funds left over after tuition costs will then be disbursed directly to the student through the college’s department of financial aid. All Federal financial aid, including the Stafford Loan, the Perkins Loan and the Direct PLUS Loan requires students to fill out and submit the Free Application for Federal Student Aid. The FAFSA application may be completed online, or students can download a copy to be printed out and mailed in. Once the FAFSA is submitted, the U. S. Department of Education will determine what loans or grants the student may be eligible to receive. Amounts will be determined by the information provided on the FAFSA, including annual household income, as well as the applicant’s status as a full-time or part-time student. Applicants will receive a Student Aid Report, either electronically or by mail, which will outline any and all grants, loans and borrowing limits for which they have been approved. Federal Direct Parent & Graduate PLUS Loans are entirely credit-based. Applicants must go through the standard credit checks associated with any private lender loan, and the better the credit history the more likely applicants are to be approved. Federal Direct PLUS Loans have a fixed interest rate, and unlike private loans the applicant’s credit history will not effect their interest rates. Although PLUS loans are determined by credit, students must still fill out and submit the FAFSA to considered for eligibility. In addition to Federal financial aid for students, many state governments have loan programs in place to help residents meet any unmet need that has not been covered by grants, scholarships, Federal loans and private funds. The degree and availability of these programs will vary, and students should consult their state’s Department of Education’s dedicated website for detailed information on what programs may be available to them. The Connecticut Higher Education Supplemental Loan Authority ( CHESLA) offers resident students education loans with a low fixed interest rate of 5.95%. Borrowers may be eligible for loan amounts ranging from $2000 to the full cost of tuition less any other financial aid. The CHESLA loan has no application or prepayment fees. and offers a 140 month repayment term. State loan programs can also assist students with their Federal loan applications, and can match students to private lenders within the state who offer education loans. Students applying for state supported financial aid must fill out and submit the FAFSA before their local state deadline. For more information on what may be available from your state please refer to our section on State Student Loan Programs. The information supplied on the Free Application for Student Aid will be used to determine the student’s Expected Family Contribution , as well as any and all financial aid programs for which they are eligible. Students who are having difficulties understanding the FAFSA forms, or who require assistance with the paperwork, may want to consult their high school guidance counselor for assistance. Many schools also offer student loan and FAFSA workshop seminars to help students and their parents better prepare for the application process. Many students fail to fill out the FAFSA, mistakenly believing they will not qualify for any financial aid. The truth is that more than 6 million students per year can not pay for a college education on their own, and most of those are eligible for some level of Federal or State aid. There are Federal, State and school associated deadlines for filing the FAFSA. Students can consult the FAFSA Student Aid Deadlines web page to find the specific deadlines for their state and school year. As a rule of thumb, students should use the earliest deadline cited as their guide. This will allow ample time to apply for loans, grants and scholarships for the intended year of attendance. Most banks and private lending institutions offer education loans to help students meet any unmet need that remains after all other financial aid has been applied. These private, or alternative, loans are entirely credit-based and carry higher interest rates than their government counterparts. Borrowing limits, interest rates and repayment schedules are ultimately determined by the applicant’s credit history. Students with little or no credit history may be able to use a cosigner to help them secure the loan they need, at rates that they can afford. 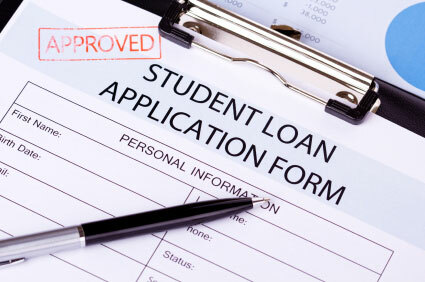 Private lenders have made applying for a student loan easy, and in many cases applications can be made online. Having said that, private student loan agreements should not be entered into lightly, and should only be considered as a last resort. Students and their families should only turn to private lenders when all other avenues of financial aid have been exhausted. Colleges and Universities often offer their own loans to help students cover any additional education costs that remain after all of their other financial aid has been applied. These smaller institutional loans are meant to be used to cover housing, books and general expenses. The availability of institutional loans will depend upon the college or university itself, and students should consult their school’s office of financial aid for further information. In addition to the FAFSA and private lender applications, some colleges and universities require students to fill out and submit the College Scholarship Services Profile. The CSS Profile is used by universities to determine a student’s eligibility for many non-federal financial aid programs. It should be noted, however, that unlike the FAFSA the CSS Profile is not free. A registration fee is required for each application. So, if students are considering three possible choices of colleges to attend, and are applying to each for information on available financial aid, than three separate fees will be incurred. Entrance and exit counseling has become standard practice for many lenders making student loans. These counseling sessions can be completed online, and consist of an informal questionnaire that assures the lending party that the student borrower understands their responsibilities concerning interest rates, repayment schedules, late fees and default penalties. These counseling session take a little over 15 minutes, and benefit both the lender and the borrower by ensuring that all parties understand the details of the student loan in question.